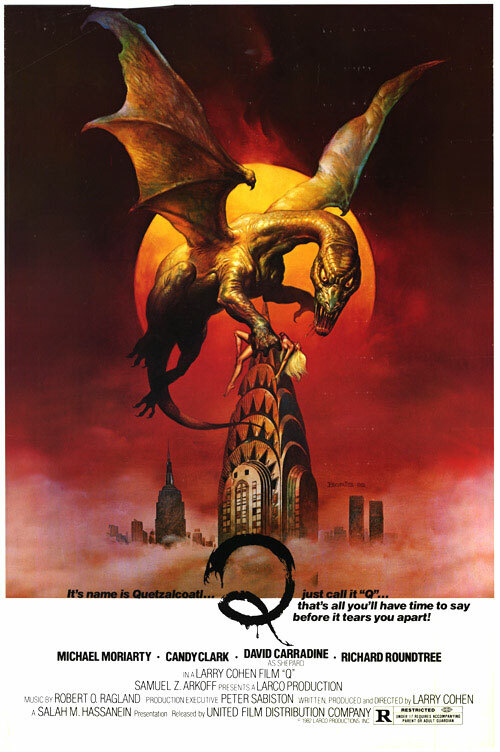 Q THE WINGED SERPENT: Genre Filmmaking At The Speed Of Imagination – Schlockmania! 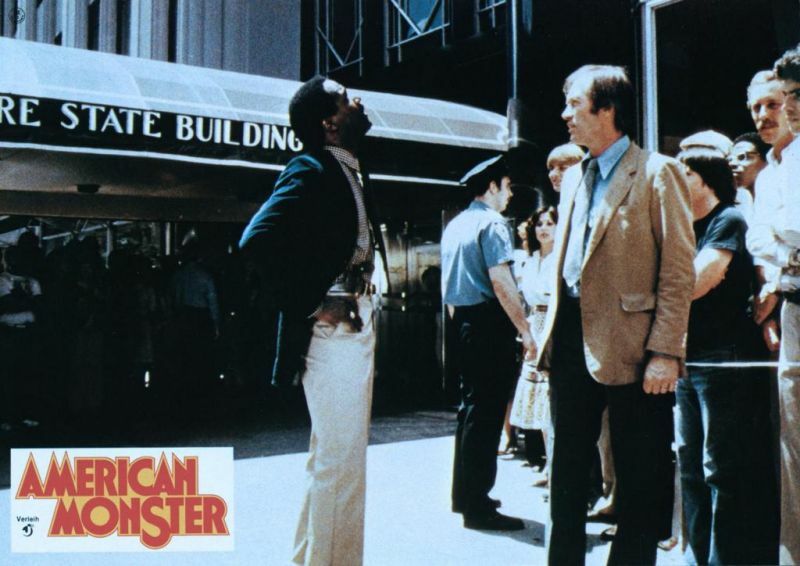 The annoying thing about being a fan of Larry Cohen’s films is listening to well-meaning but misguided film buffs complain that his films would be better if he spent more time or money on them. What such a criticism misses is that the magic of Larry Cohen’s films – at least those from his prolific ’70s/’80s peak period – are that they move at the speed of his imagination. During that golden era, Cohen wasn’t afraid to dive right into making a film as he wrote it. That’s how Q The Winged Serpent was made – and it’s one of his best and most beloved films. Q The Winged Serpent was born when Cohen was dismissed from directing his adaptation of the Mike Hammer novel I The Jury. Within three weeks, he had written the script, arranged the financing and cast and was shooting on the streets of New York City. The fast, fascinatingly offbeat scenario he concocted takes the giant monster films that were so popular in the ’50s and transplants it to an early ’80s urban setting. The plotting mixes urban grit and bizarre fantasy with surprising ease: NYC cops Shepard (David Carradine) and Powell (Richard Roundtree) are dealing with two mysterious sets of crimes. The first is a series of disappearances and violent deaths of people atop high buildings. The second is a series of murders in which the victims have seemingly allowed themselves to be flayed to death by the killer. 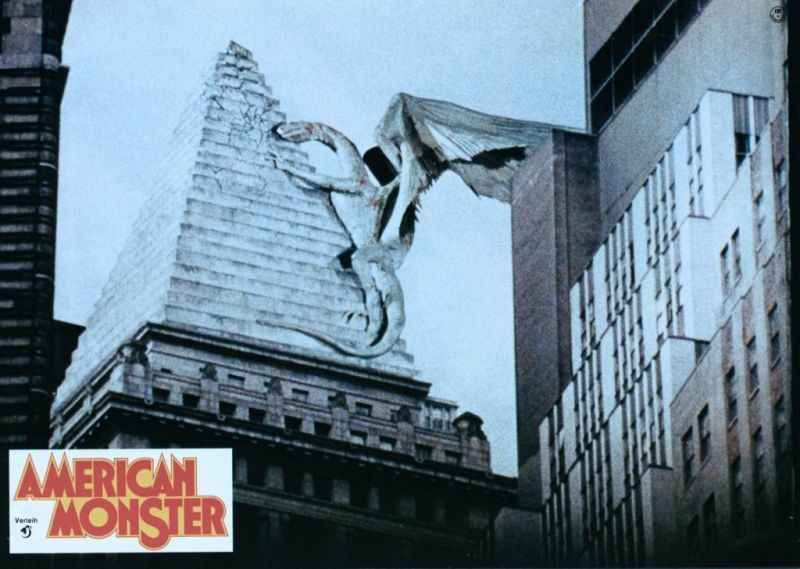 What they discover is the stuff of b-movie dreams: the victims of the high-rise killings are being attacked by Quetzlcoatl, an ancient Aztec plumed serpent god that is being willed back into existence via skin-stripping ritual sacrifices. 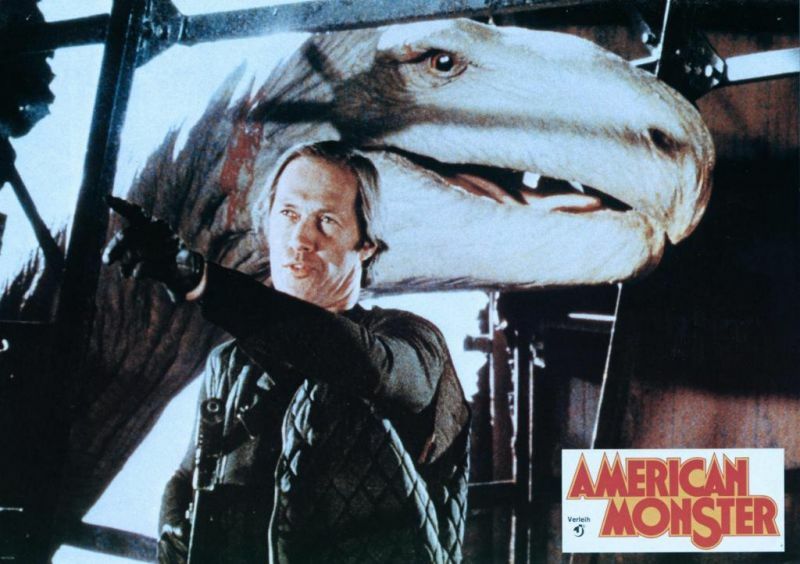 As Shepard and Powell hunt for both the bird and the human killer, they cross paths with Jimmy Quinn (Michael Moriarty), a small time crook who has stumbled onto the high-rise nest of Quetzlcoatl… and won’t give up the location unless the city offers him the big score he’s always craved. Q The Winged Serpent works because it has the courage of its wildly imaginative convictions. Other filmmakers would get embarrassed and try to play the premise for self-conscious campiness or pander to b-movie fans but Cohen treats the premise with respect. He u ses the notion that the flying serpent was once worshipped as a chance to muse on the difference between god and monster, which also opens up some interesting commentary on religion’s place in the modern world. Better yet, he uses the various characters’ reactions to the beast to comment on how real people would deal with such a crisis – i.e., some people would get greedy and those in power would try to cover up its existence. However, b-movie buffs shouldn’t worried that Q The Winged Serpent gets too serious or philosophical: such thoughtful themes are couched in a colorful, fast-moving exploration of genre flick conceits, deftly blending the police procedural and the small-time criminal drama into a monster movie premise that delivers plenty of colorful setpieces. Cohen’s direction has a fast, funky playfulness to it, making excellent use of NYC as a location and orchestrating the surprisingly complex plotting with a jaunty pace. The creature effects are noticeably rough around the edges, reflecting the cheap budget, but that honestly works as part of the design here (none of the giant monster flicks it pays homage to had seamlessly convincing effects, either). Best of all, Cohen replaces the usual cardboard cutout characters fans expect in giant monster flicks with offbeat, colorful characterizations that hold Q The Winged Serpent together. He assembled an excellent cast to bring them to life and this the film’s most important asset. Roundtree and Carradine are fun to watch as the cops, with the latter delivering a low-key, witty turn in the kind of characterization that he rarely got to play. Candy Clark also turns up in an endearingly hammy side-role as Quinn’s long-suffering girlfriend and the supporting cast is full of familiar character actors like John Capodice, Eddie Jones and Cohen regular James Dixon. 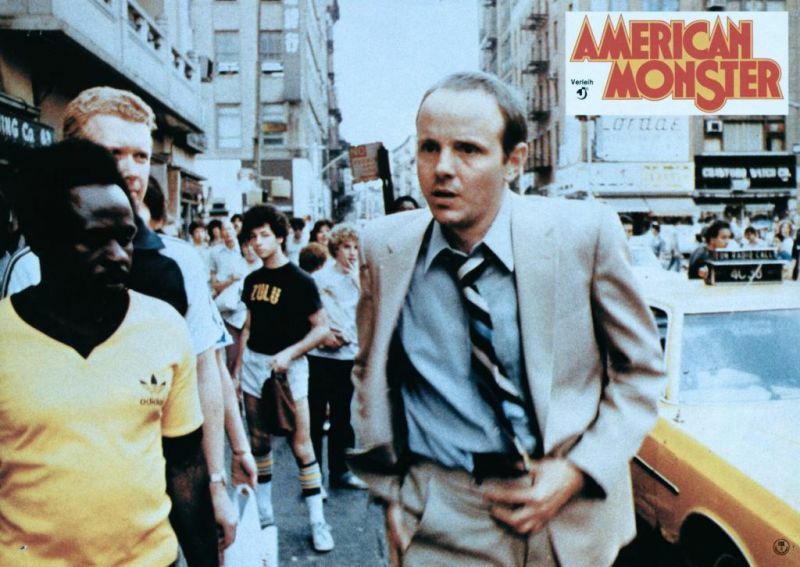 That said, Q The Winged Serpent belongs to the amazing Michael Moriarty as Jimmy Quinn. Moriarty and Cohen had one of those great actor/director relationships where the actor could convincingly interpret whatever the director came up with and the results of their work here are stunning. Moriarty dives into his role with total Method actor commitment, bringing all manner of dramatic and darkly comedic shadings to what could have been another small-time crook role as he vamps and improvs his way through the picture. The re sulting performance is magnetic, dominating any scene he appears in, and Cohen gives him plenty of room to work his magic: the scene where he lists his demands to the city brass is the funniest and most imaginative scene in the film, with Moriarty bringing confidence and energy to Cohen’s wildest characterization/dialogue conceits. The results are easily one of Moriarty’s finest performances – and one of the most indelible Cohen creations. 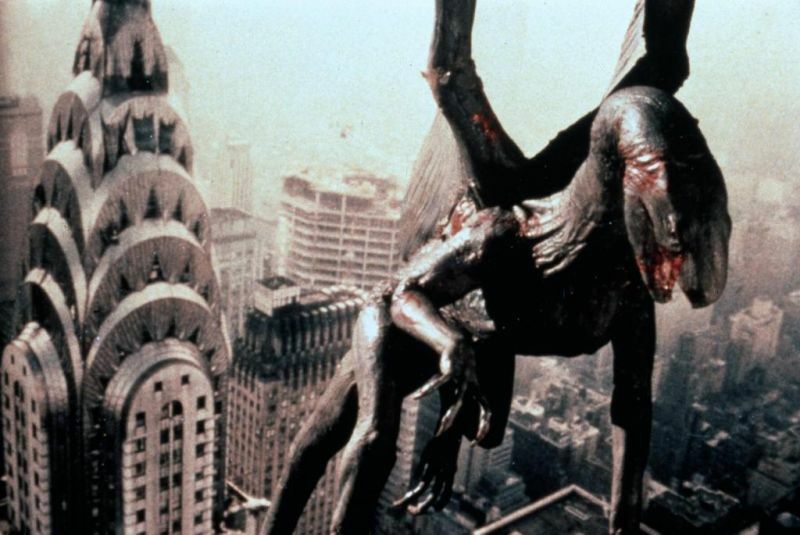 In short, Q The Winged Serpent triumphs over budgetary limitations and any prejudice viewers might have towards a giant monster movie with a steady, endlessly inventive barrage of imagination and quirks. If you’re a genre film buff and you haven’t seen it yet, make haste to check it out. You’ve never seen a monster flick like this.